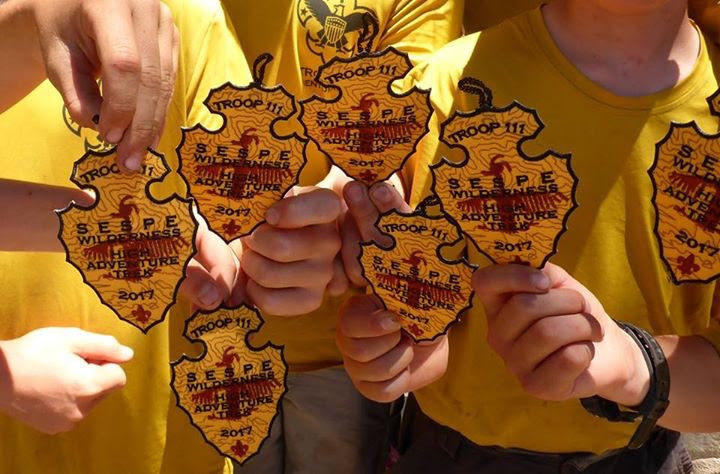 The summer of 2017 held one of the most amazing events in troop history. A month after celebrating Troop 111's first birthday, the scouts took a small backpacking trip out to Cottonwood, one of our favorite swimming holes. Two scouts who had just bridged that night accompanied us on the night hike. THey had a great time on the hike and in the swimming hole, where we spent most of our time due to the hot weather. 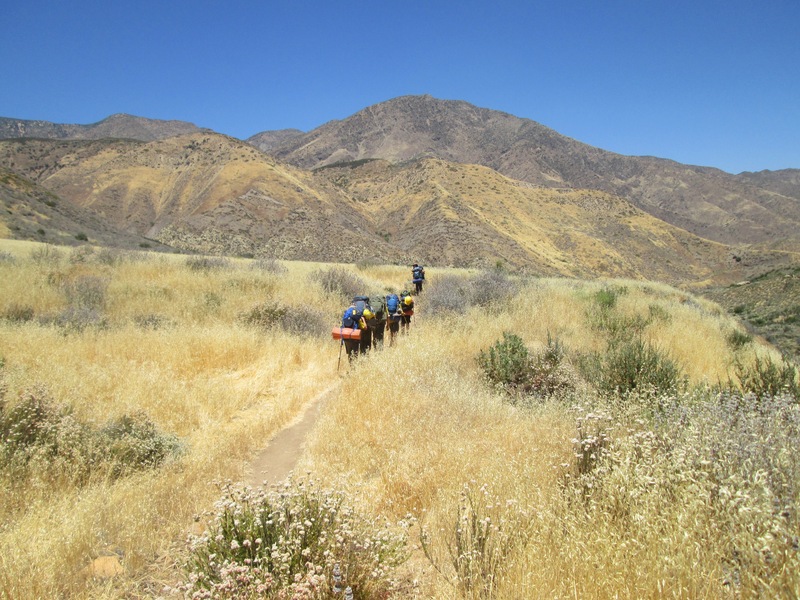 Only two weeks after that backpacking trip, a few boys headed off into the Sespe for the 8-day High Adventure Trip. It was long, hot and very buggy at some points, but after interviewing some of the boys later, the group thought it was awesome. 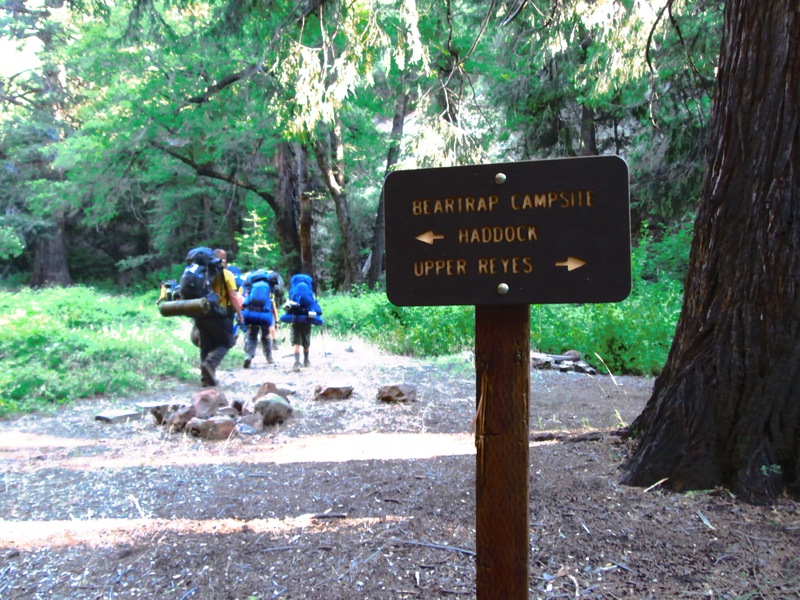 They started at the Upper Reyes campground parking lot and hiked 5 miles to a camp called Bear Trap. On day two, the boys hiked an incredibly muggy 7 miles up to Pine Mountain lodge, and created a "Hammock City". The next day, the group hiked another 7 miles down the steep grade into the same Cottonwood from a couple of weeks ago and spent a zero day there while they swam in the watering hole. After the zero day, due to a lack of water at the top of the ridges, the boys changed course and hiked ten miles to the Willett Hot Springs and spent the night at the cabin. 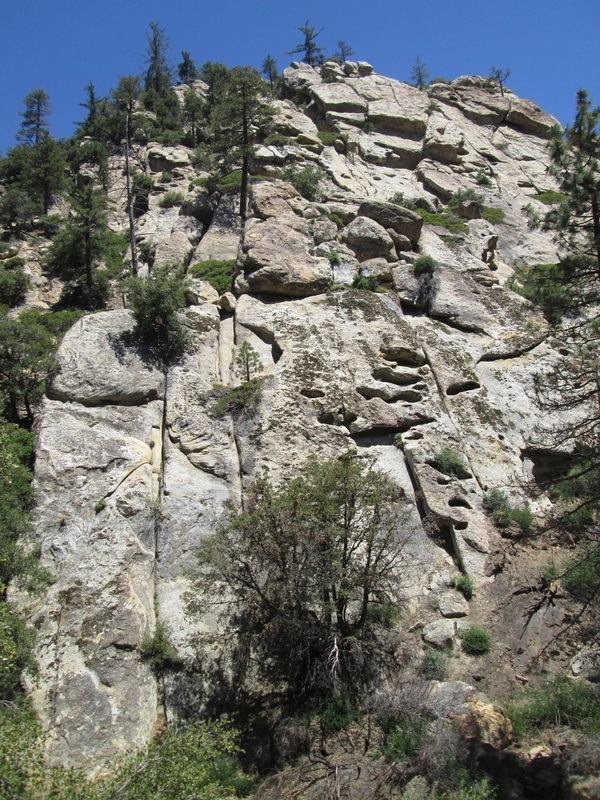 On the way back to Bear Creek, the scouts encountered a sweltering heat of 105 degrees. 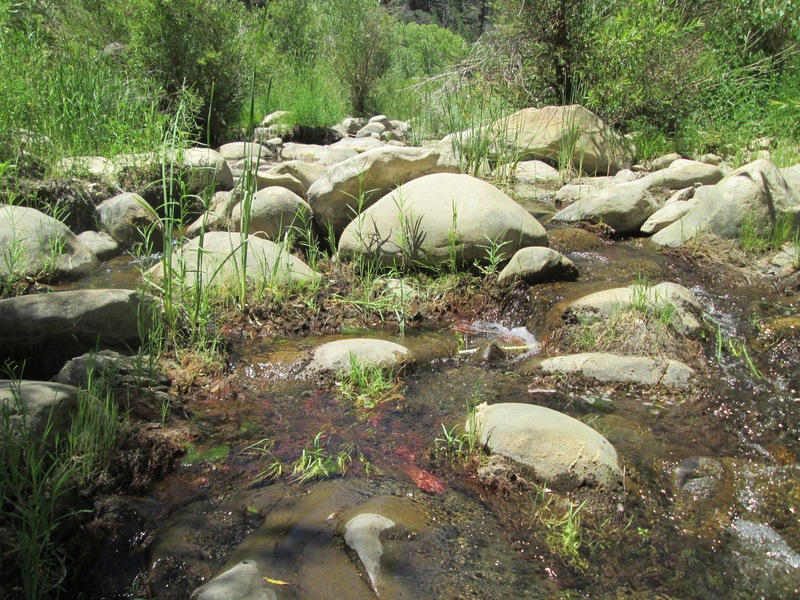 It was so hot, that when they got back to Bear Creek, the group decided to spend another zero days there. The last day of the trip was spent hiking 5 miles to the Piedra Blanca parking lot and had hiked a total of 43.2 miles. Two DAYS after HAT, the scouts participated in the Ojai Valley preserve patrol. The scouts that attended helped patrol the border of the Preserve on the fourth of July, making sure that no one passed through to see the fireworks. Sure, they just sat in chairs eating chips and shining their flashlights once in a while, but it's all about the experience. A couple of weeks later, the boys took to the road for another away camp and drove up to Camp Three Falls. Once there, the scouts learned special skills as they worked toward merit badges. It was a phenomenal trip, and the boys had a great time. Some of the Merit Badges awarded were Lifesaving, Pioneering, Archery, First Aid, Woodwork, Leatherwork and many others. Instead of working toward Merit Badges, the scouts had a choice to either work towards their ranks, or have some free time. The food was breathtaking. I mean, seriously, it was so good I had to take a breath once in a while between shoveling it in my mouth. At the end of the trip, we learned that our troop had earned over 70 Merit Badges. Staggering, isn't it? Our last trip of the summer was truly astounding. We traveled to Scorpion Landing on Santa Cruz Island for three days as we worked toward our rank advancement, Merit Badges, and other skills while the Green Bars planned out the 2017 - 2018 Troop calendar. Our troop is so full of young inventors and entrepreneurs that one scout earned the Spatula Award. Every once in a while, the Troop will hand out special awards to recognize the boys that have done something that stands out. 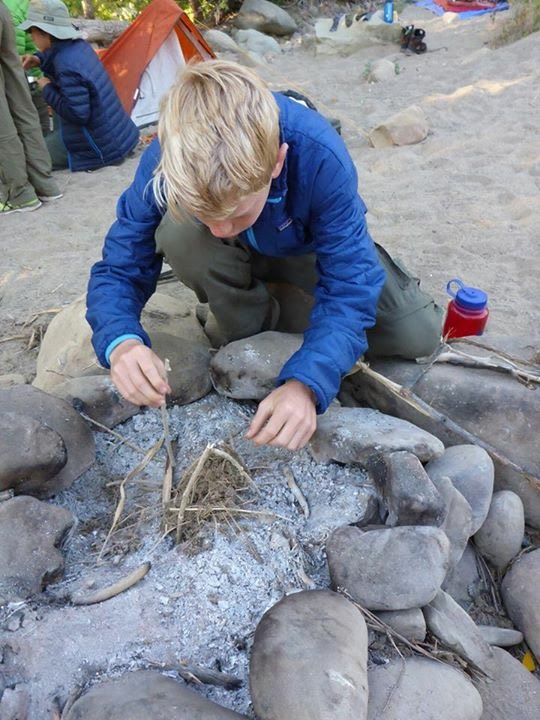 One Scout realized that there was a shortage of spatulas during the trip and decided to do something about it. He took a square of cardboard and Leatherman™ pliers and made a spatula! The last event of the summer was the Troop Court of Honor. A Court of Honor is a recognition for the Scouts in the Troop that have completed certain requirements and are awarded Merit Badges, Ranks, and other special awards. These CoHs, if you will, are held three times a year, (June/July, September, and March) so we've accumulated all of the bling the scouts have earned over the past four months.